The internet is surely one of the most fascinating technical tools that have made our lives easier. Apart from its utility in professional spheres, the web has become a wonderful tool for entertainment, especially for the avid gamers. If you live in Gurgaon and love to spend your leisure time in playing online video games, it is quite obvious for you to look for the best broadband connection in Gurgaon that offers you a lag-free gaming experience. At present, many web service providers offer their customers to enjoy lag-free and high-speed entertainment. At the same time, it is super-essential for you to know about the important features of gaming routers. The Ethernet has got a wide recognition when it comes to trumping the wireless connections to fight latency. The Gigabyte Ethernet is future-proof and can handle speed up to 1000 Mbits or 25 Mbps, assuming your connection can deliver such speed. If you are not a big fan of Ethernet then you can opt got a wireless AC router with dual-band support. These days, the wireless AC standard router is introduced with 5GHZs, which makes the router more efficient and reliable in comparison to the older model with 2.4GHZs. The dual-band AC router supports both 5 GHZs and 2.4 GHZs. This feature of the dual-band router allows you to access the web on an older system as well as on your media and gaming devices. The term MU-MIMU is a short for Multi-User, Multiple-Input, and Multiple-Output. The MU-MIMO is extremely useful if your network serves multiple devices. It allows multiple users to stream favourite movies, sharing files, making video calls, or download torrents on other devices, while you play online video games. According to the industry experts, one of the major reasons for avoiding Wi-Fi connections for gaming is that the Wi-Fi signals can cause interference. If the signals meet interference, it fails to reach a destination and the data needs to be resent. The interference can also result in low internet speed and high latency. CPU and RAM are the two considerations we all take while buying the computers and smartphones. 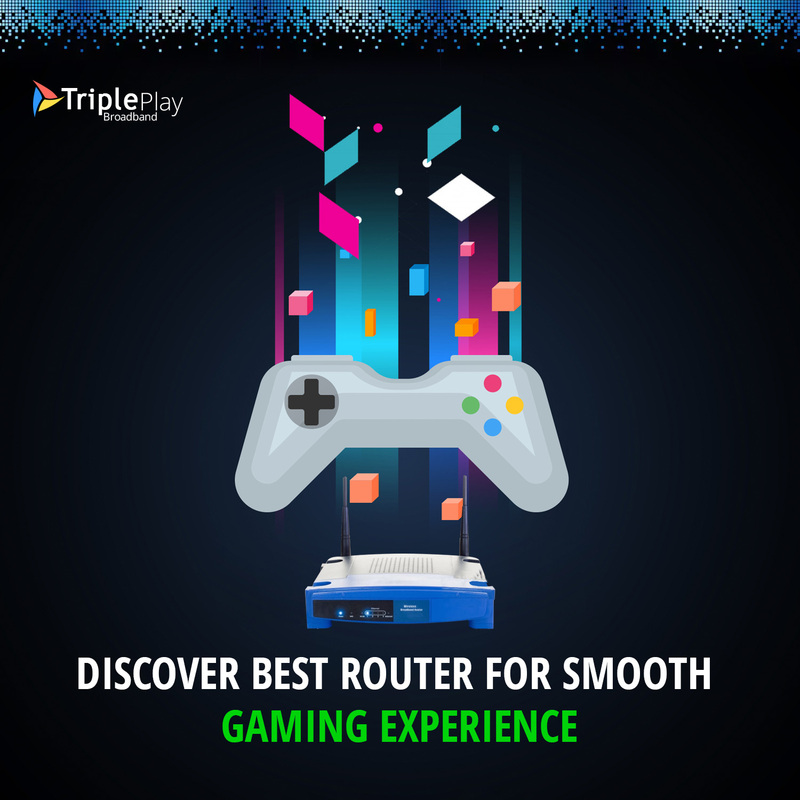 It is important for you to take the same points into consideration while opting for a gaming router as they have to transfer a large amount of data every single second. In case of routers with low CPU capacity, the device may not keep up with the high network demand. If you want to run a single device like your laptop or smartphone, the router with weak CPU may work fine. On another hand, to access lag-free internet on multiple devices like tablets, smartphones and computers, you will need a router with faster CPU performance. If your router suddenly stops working or behaves weird, rebooting it is the first and foremost method of troubleshooting. However, this formula works perfectly for the older models. In the recent times, the advanced routers allow you to automate the re-boot schedule by replacing your router firmware with DD-WRT. On another hand, purchasing a programmable time switcher and attaching it with your router forms an alternative way to schedule router reboot. Getting a reliable and secure connection for a lag-free and high-speed broadband in Gurugram can be a challenging task for you. The TriplePlay Broadband is one of the leading and reliable broadband networks in Gurgaon that allow you to enjoy high-speed web access at an affordable budget.